Since 1985, the National Park and Recreation Association (NPRA) has promoted July as National Park and Recreation Month. As part of these efforts, the NPRA encourages people to appreciate the importance of parks and recreational facilities to STEM education, community gathering and engagement, wild life preservation, and public health – among others. 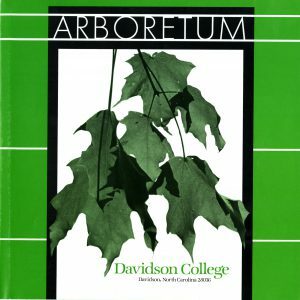 In recognition of this celebration, we invite you to learn more about the Davidson College campus, which is also a nationally recognized and protected working arboretum. 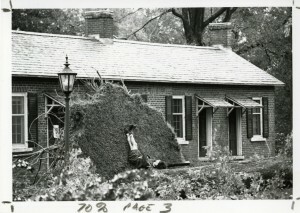 The campus earned this designation in 1982 when then college president Samuel Spencer received a letter from Henry Cathey, the director of the National Arboretum, requesting the grounds of the college be used as a working arboretum. 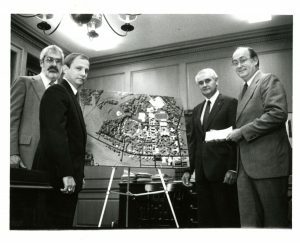 With the addition of a generous donation from the estate of forestry enthusiast Edwin Latimer Douglass, Physical Plant led an aerial photography and mapping project of the campus to facilitate the preservation of the space. 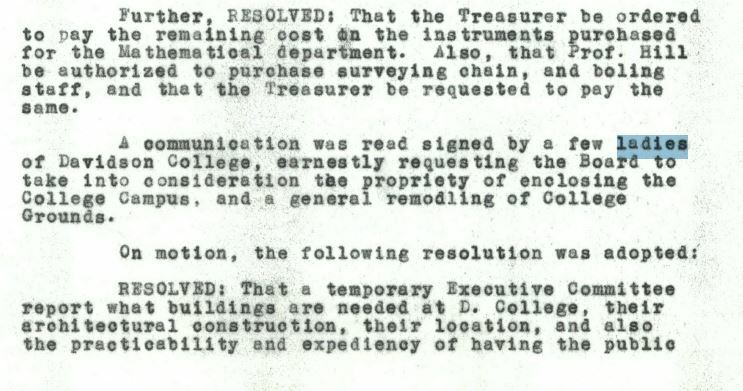 But how did the college’s landscape become so unique that it merited this recognition? 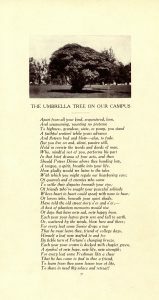 This is followed up in the Annual Faculty Report of 1860 – 1861 which commented: “During last spring, the students, at the suggestion of the faculty, undertook to set out each a tree for the embellishment of the campus.” By 1869, reports indicated that such plantings would deliberately attempt to replicate the general forestry and botany of the state and region. 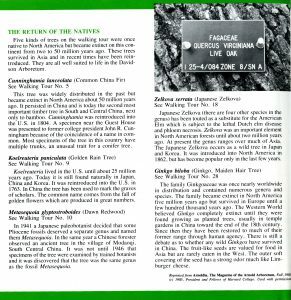 Today, the college arboretum includes five tree species which were extinct on the North American continent sometime between 2 and 50 million years ago. Since their re-planting in Davidson, they have survived several hurricanes, ice storms, and campus landscaping alterations. So the next time you enjoy the shade provided by our carefully constructed and maintained landscape, stop and look for a small metal plaque where you will find information about the tree’s name and history. Want more information? 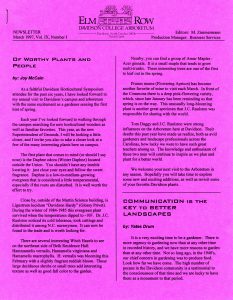 The Archives holds several copies of the Elm Row Newsletter – a campus publication once dedicated to stories about the college grounds and distributed by campus staff.